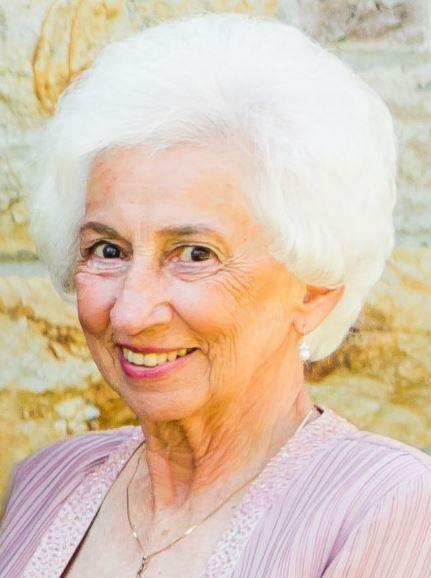 Beverly Olson devoted wife, mother and grandmother passed away peacefully on March 22, 2019. She is survived by her loving husband Bob and recently celebrated 65 years of marriage. Immediate family who will terribly miss the thoughtful and spunky Italian is daughter Karen Perry (Chris), granddaughter, Melissa Winkelhaus (Jay), grandson Brian Perry and young great-granddaughters Madeline and Emma. Brother Frank Armanino and sister Irene Dal Porto predeceased her. Living in Napa for 82 years, her family moved here from San Francisco to join other family members in the area. Beverly picked prunes as a young adult, then as a young wife and mother, she went to work for the City of Napa for over 40 years contributing to many departments including police, finance and retiring from the corporation yard. 86 years young at passing, her earlier days were filled playing a spirited game of cards with sister Irene, playing blackjack or slots with friend Sue, camping with family and friends, or traveling, fishing or an occasional hunt with Bob. A memorial service will be held on Wednesday, April 3, 11:00 a.m. at Tulocay Chapel 411 Coombsville Road in Napa with a Celebration of Life immediately following. A private burial will be held at the National Cemetery in Dixon. In lieu of flowers her family has selected the American Heart Association, heart.org. A special thank you to Dr. Thomas Suard her long time physician and Elizabeth from Collabria Care for their compassionate care.